To assist you we have prepared a guide to 'Your Conversion Journey'. This can be viewed and enlarged through the flip book below or downloaded by clicking here. Academies are publicly funded independent schools who are not part of the Local Authority and have greater freedoms and flexibilities. As a charitable company limited by guarantee. 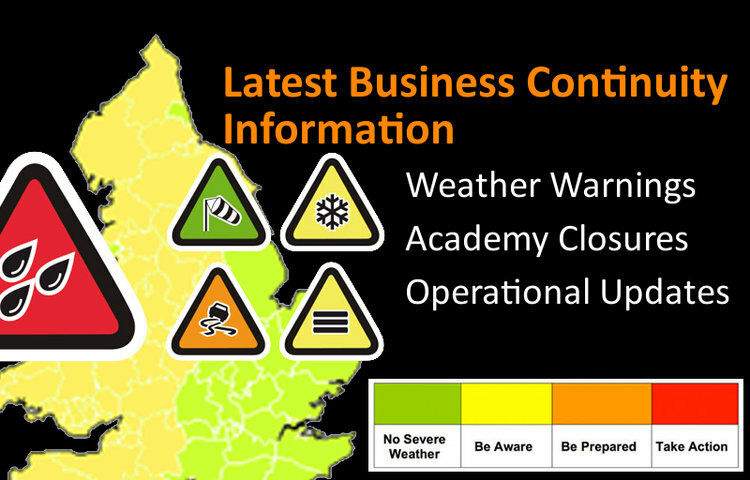 The Academy Trust is responsible for the running of the Academy and has control over the land and other assets. Any charitable body has two groups involved in the corporate governance of the organisation: Directors and Members. Rather than being directly funded and accountable to the Local Authority, they are funded and accountable to the Secretary of State. All schools are now expected to have formally started the process of Academy conversion by 2020. A Multi Academy Trust (MAT) is a group of schools working together under a shared academy structure. The family of Academies within Cidari are able to draw on resources and best practice across the trust and benefit from a range of services and cost savings. 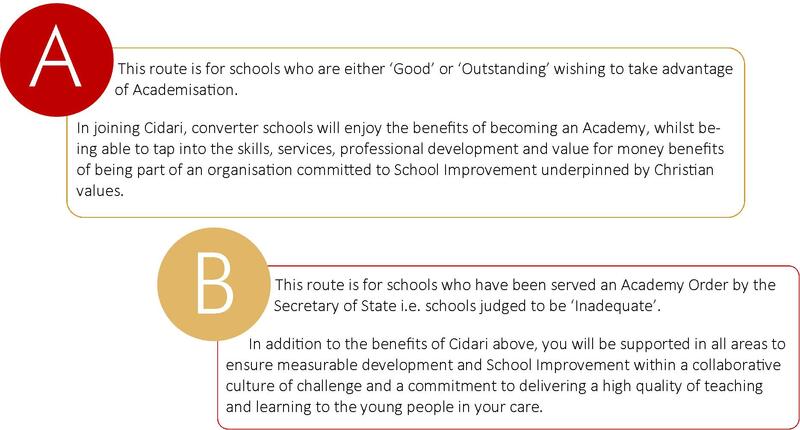 Whilst the school can opt to convert if taking ‘Route A’ and the Secretary of State will make the final decision, it is the Cidari Board of Directors who will decide as to whether a converted school joins the Trust.